We are glad to present to you a new article in the Challenge AnyChart! series. new revelations about “hidden” variability in how cancer cells respond to drugs. Without wasting any more time, let’s go straight to these data visualizations! 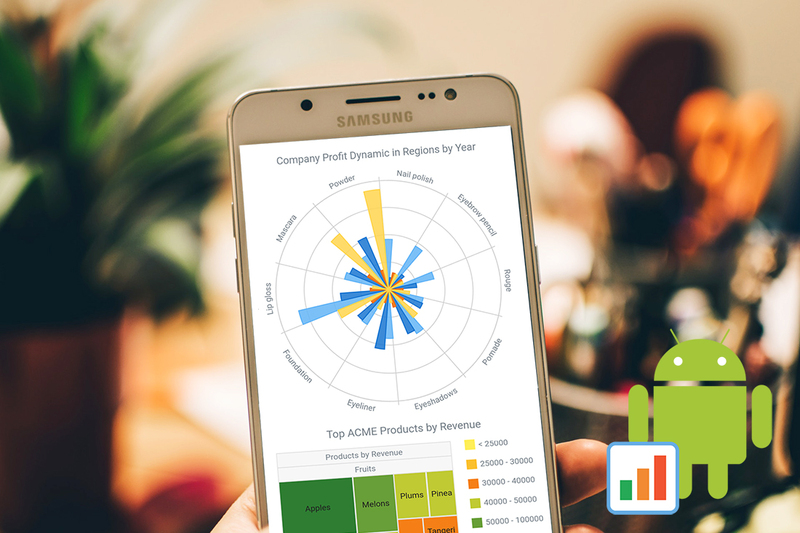 Android app developers can now use AnyChart Java wrapper to run our interactive data visualization solutions in native Android apps! Meet AnyChart Android Charts! 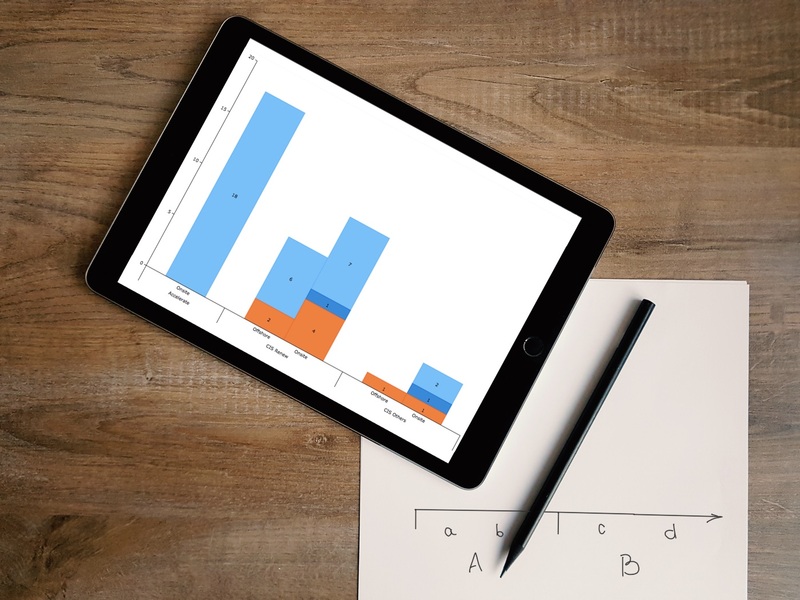 It’s a stunning data visualization library for making interactive HTML5 charts in Android apps, running on API 14+ (Android 4.0). AnyChart supplies dozens of different chart types and seamlessly works with any data from any database. 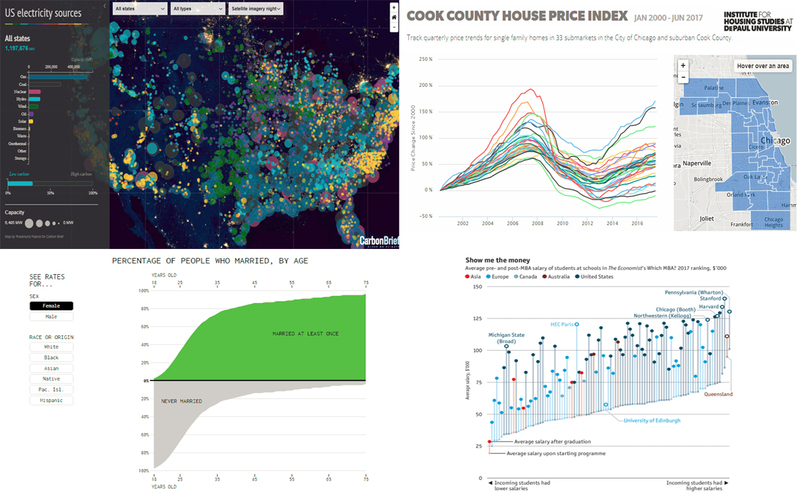 Welcome to our Data Visualization Weekly series where we bring you some of the latest news and information on a wide range of topics, from family and property to energy and education. 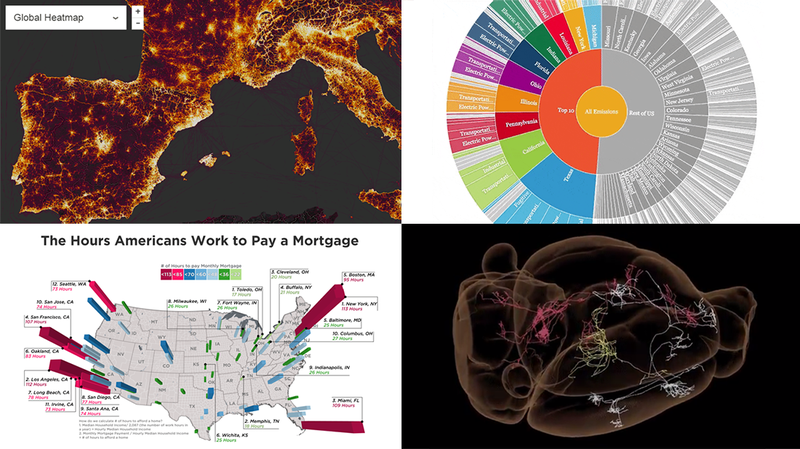 We use creative and amazing data visuals from around the Web to present information. Today we introduce to you interesting data on 4 specific areas that you will find quite interesting to know something about, using a variety of visual elements. We take a closer look at energy generation, marriage statistics by age, and Chicago housing price trends. Another area that we will focus on is MBA – what schools give the biggest (and smallest) boost to salaries. So let’s begin straight away with the first topic. When AnyChart JS Charts‘ dedicated extension for Qlik Sense first hit the stage on Qlik Branch in the spring of 2017, it was well received by the community. In fact, we delivered what many Qlik users craved: advanced flexibility which at the same time would not affect the ease of interactive data visualization. And that was just the beginning. 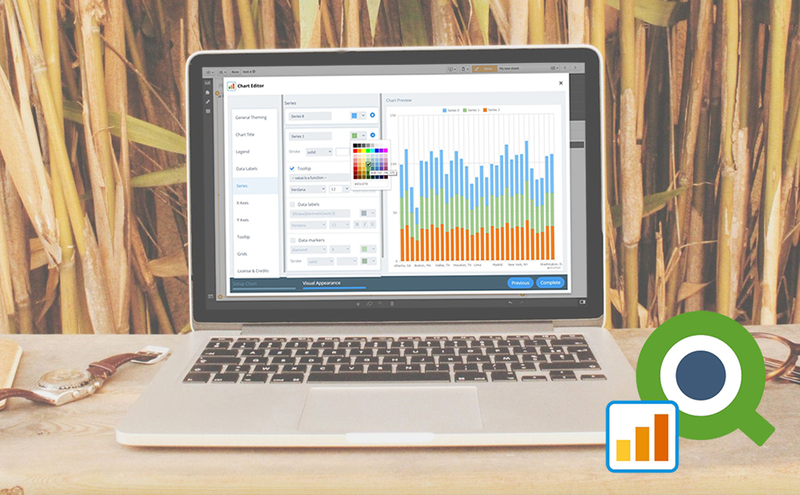 Now, we are happy to present version 2.0 of our extension for Qlik Sense! Another week, another four interesting visualization examples. 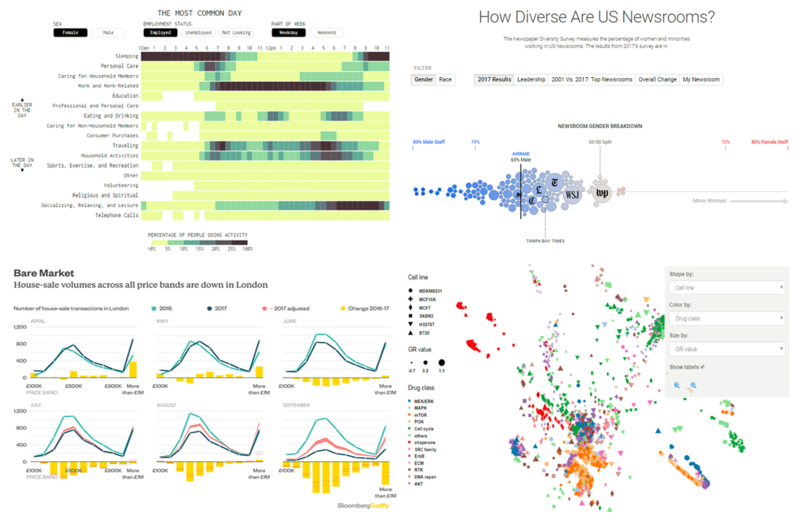 That’s how our DataViz Weekly feature works! extensive map of mouse brain wiring. The new issue of DataViz Weekly is fully devoted to US maps. 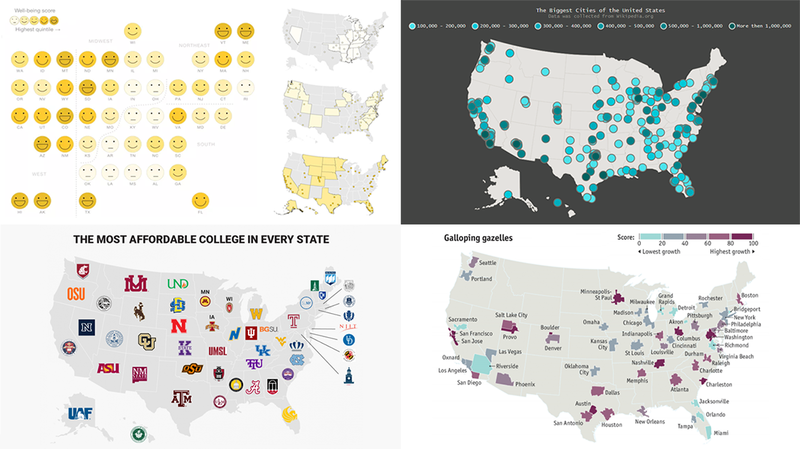 Here you’ll find four interesting geo visualizations telling data stories about the United States of America: the biggest cities, well-being, affordable colleges, high-growth entrepreneurship hotspots.